With their feathers ruffled as if they were taking flight, the boys took off running towards Franky’s back yard. At first Ralph, Freddy’s best friend felt sad that Freddy didn’t come and began to turn around to beg him to join them. Franky lightly pecked on the gate to Freddy’s back yard, as she began to tumble and fall into the gate. It flew open making a loud BANG, as it swung with great force. Due to Franky completeing a somersault, with head first and feet quickly following. She landed with a ‘SPLAT’ flat on her back, starring up at the gigantic cumulus clouds floating by. When Freddy rushed over to check on his new friend, he noticed she had two long, pink & lime green, tubes tightly gripped in her beak. She may have taken a tumble, but she refused to ruin her new friends gift! Freddy gently removed the funny shaped tubes from Franky’s beak and the two began to laugh, HYSTERICALLY! Before long they were both laughing so hard they were rolling on the ground, with tears in their eyes. They were holding their cheeks & tummies trying to ease their discomfort from the over abundance of laughter. The two of them rolled around a few minutes more, enjoying the moment of laughter and regaining their composure. Until both flamingos were silent, laying in the sunlite, not moving a muscle. And off she went, disappearing behind the gate once again. Freddy stood there in a state of confusion. He thought to himself…Did she not hear anything I said? Why did she just go back to playing with those Flamingos, who didn’t like her just because she was green and female! He wandered over to the peep hole in the fence. With his one eye ball, he scanned the entire back yard with in seconds! It did look like a great deal of fun! Fillip was racing a lavendar, girl, flamingo through the obstacle course. Franky was riding big wheels with Frank. Ralph and Mabel were eating a yummy ice cream over at the hot, pink, picnic table. Freddy continued to think about how awful his friends were. He questioned how Franky could make friends with people who had said so many ugly things, without even knowing her. The big, blue, Flamingo turned down the music and everyone became silent. No one moved, spoke or even took their eyes off of Freddy. As they anticipated what he had to say. Freddy stood there wondering where he went wrong. He dropped his head, began to cry, and walked towards the gate. He couldn’t understand how being honest was a bad thing. He wasn’t trying to hurt anyone, but yet he felt terrible. Out from the shadows of the house stepped a six foot, beautiful, lanky, lime, green, female flamingo and she said, “Everyone is welcome at our home! And I want you here,” in the most Angelic voice Freddy had ever heard. “Of COURSE! I would most definetly take it all back. I wouldn’t have stayed over there by myself. I would not have came over here and announced all that mean stuff,” explained Freddy. “Let’s start over! Hello, my name is Lilly. Your name is?” The beautiful flamingo asked Freddy. She gave him a big hug and patted him on the tail feathers, as if she were saying shew, shew, now it is time for you to go play and have fun. All the other Flamingos gathered around Freddy to show him the wonders of Franky’s backyard. The other girls introduced themselves and went on playing. They both began to laugh once again. Freddy and Franky hugged and went off to the sand box. They played until bedtime. Roasted marshmallows, sang around the camp fire, and enjoyed all of their new friends. Rather than trying to conform or force others to be just like us, why don’t we all enjoy our differences! Franky and Lilly were correct! We all make mistakes. It is up to YOU to forgive, forget, and have fun. Or hang on, blame, and live in depression. I am so grateful for you reading this. We hope Freddy and his friends will continue to empower you and carry Livelove’s message. Everyone makes mistakes. Everyone needs a little help sometimes. 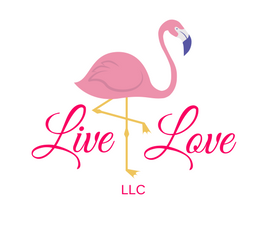 Email us: Livelove.teena@gmail.com and we will set you up with the BEST Coach for you! This entry was posted in adventure, communication, depression, Education, entertainment, Fear, friends, Happiness, Jimmy Falon, Life (Happy) Coaching, Motivational Speakers, Not perfect, parenting, Relationships, sibilings, sisters, Thank you and tagged coaching, colors, emotions, expectations, Flamingos, friends, Fun, funwins, Gender, judgement, livelove, Love, Lovewins, moments, past, race, teachablemoment on July 11, 2018 by teenadrake. Freddy the Pink Flamingo was hanging out with his friends. They played games, cooked out, and laughed, all day long. As Freddy was retrieving the hoola hoop from ring the neck of a Flamingo, he saw a gigantic moving truck pull in. Frank, Fillip, Frances, and some of the other Flamingos gathered around Freddy to hear what he was so excited about! “Aren’t you all excited? I wonder if they like to cook out, play games…” Freddy questioned. “Of course they will like everything we like, they are Pink Flamingos!” Frank commented, acting as if Freddy was silly for being so excited. “Come on let’s finish this game I am winning!” he continued. But Freddy was too excited to meet his new neighbors! He peeked through the small hole of the joining privacy fence, which was created by his best friend Flipper, before he moved out of town. His right eye ball made a complete circle as he scanned the backyard. But not one sign of a new Flamingo, yet. Until…as he began to turn around and sadly report I can’t see anyth…he was abruptly interupted by a gigantic gasp from his friends. He looked puzzled as to why they were all starring at him with a horrible look plastered on their beaks! Freddy froze and felt like he was turning white. Before he could sputter any words from his beak…he felt a shadow towering over him. He quickly rolled his eyes up, up, up and over his head. “Aaaaaaaaaaa,” he began to scream and scream. The different colored, too tall, odd shaped thingy, simply pulled her head back and slowly walked into the back door of her new home. “What was that?” He asked. Freddy’s friends surrounded him and everyone began to talk at once. In a chaotic Flamingo chatter. Until…they heard a light tap, tap, tap on the gate of Freddy’s back yard. All of the Pink Flamingos held their breath and became silent. As if the tap, tap, tap on the other side of the gate would ‘think’ no one was home. Tap, tap, tap once again. A neon green, beautiful, bright Flamingo just his size. Many of his friends were now in a group snickering and being quite rude to Franky. Franky with a sigh dropped her head and vanished behind the gate as fast as she had entered. All of Freddy’s friends agreed this new neighbor, was not their friend. Their squawks, filled with complaints, were quickly drowned out by music echoing from Franky’s yard. All the boys rushed over to the peep hole in the privacy fence. Pink feathers were flying as they pushed and shoved to attempt to see where the music was coming from. With their beaks pointing up really high, towards the sky, they shook their heads in perfect unison, Yes! What do you think Freddy said to Franky? Do you think he joined them or did he tell Franky all about how terrible his friends were? What would you do? Have you ever judged someone by their outside appearance? I am sure we all have. This entry was posted in adventure, anxiety, colors, communication, Education, Energy, family, Fear, friends, grief, guilt, Happiness, healing, law of attraction, Life (Happy) Coaching, Love, meditate, Millionaires, Motivational Speakers, Not perfect, parenting, Pizza and tagged abundance, adventures, approve, aroundtheworld, attitude, attraction, believe, colors, livelove, Love, Lovewins, motivational inspirational, race, series on July 6, 2018 by teenadrake.